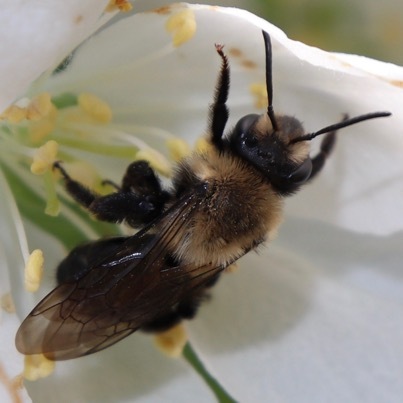 DURHAM, N.H.--Researchers at the University of New Hampshire have found a dramatic decline of 14 wild bee species that are, among other things, important across the Northeast for the pollination of major local crops like apples, blueberries and cranberries. "We know that wild bees are greatly at risk and not doing well worldwide," said Sandra Rehan, assistant professor of biological sciences. "This status assessment of wild bees shines a light on the exact species in decline, beside the well-documented bumble bees. Because these species are major players in crop pollination, it raises concerns about compromising the production of key crops and the food supply in general." In the study, which was recently published in the journal Insect and Conservation Diversity, researchers used local museum records to compare changes in the wild bee community in New Hampshire over the span of 125 years (1891-2016). They looked at characteristics such as habitat preferences, range, elevation, and latitude as well as social behavior. Researchers say all 14 of the species found to be in decline are native to New England but are widespread and important across the Northeast and North America. Out of those declining species, 13 are ground nesters and one is a cavity nester. Researchers also found that most of the declining species experienced significant shifts in both elevation and latitude. "We found that wild bee species that once greatly populated more southern areas near sea level are now in decline," said Rehan. "While up north in more mountainous areas, like the White Mountains, those same species persist which is an indicator of how climate change is affecting certain populations, especially in the Seacoast area." Of the bee species found to be in decline, 50% showed a shift of being more abundant in northern areas and in higher elevations. However, one third of the eight wild bee species that seemed to be on the increase also showed a northward migration over the 125-year period. 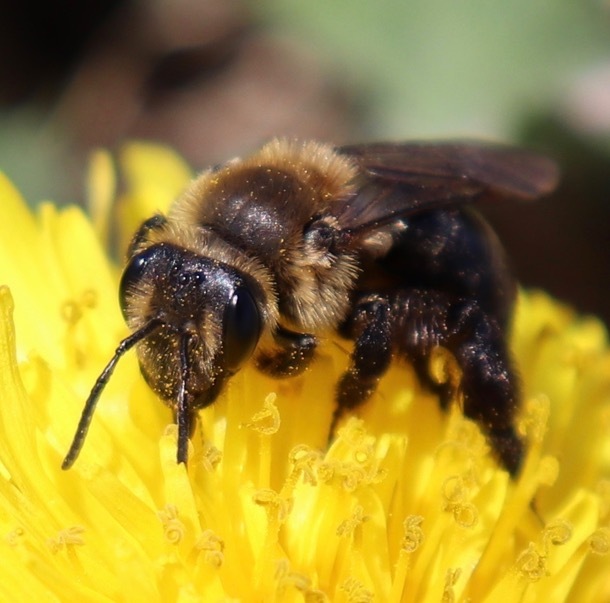 Researchers say that with the predictions for climate change to continue, monitoring the habitat shifts in these wild bees will be important to help with appropriate landscape management, crop production and conservation policies. Funding for this research was provided by New Hampshire Agricultural Experiment Station, USDA National Institute of Food and Agriculture Hatch Project, and the Foundation for Food and Agriculture Research Pollinator Health Fund. The University of New Hampshire inspires innovation and transforms lives in our state, nation and world. More than 16,000 students from all 50 states and 71 countries engage with an award-winning faculty in top-ranked programs in business, engineering, law, health and human services, liberal arts and the sciences across more than 200 programs of study. As one of the nation's highest-performing research universities, UNH partners with NASA, NOAA, NSF and NIH, and receives more than $110 million in competitive external funding every year to further explore and define the frontiers of land, sea and space. Caption: Busy pollinating this flower is the ground nesting bee, Andrena vicinia, one of 14 declining wild bee species identified by researchers at the University of New Hampshire. Caption: The wild bee, Andrena carlini, that is busy pollinating this white flower is a ground nesting bee and one of the 14 wild bee species identified by researchers at the University of New Hampshire to be in decline.